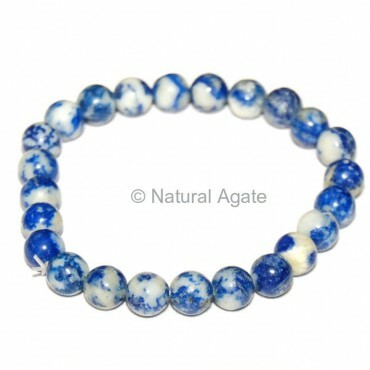 Natural Agate offers Lapis Lazuli Beads Bracelet. It is eye-catching, 7inches long bracelet. The blue and white mixture makes it a pretty bracelet. Visit the site to check more bracelets.